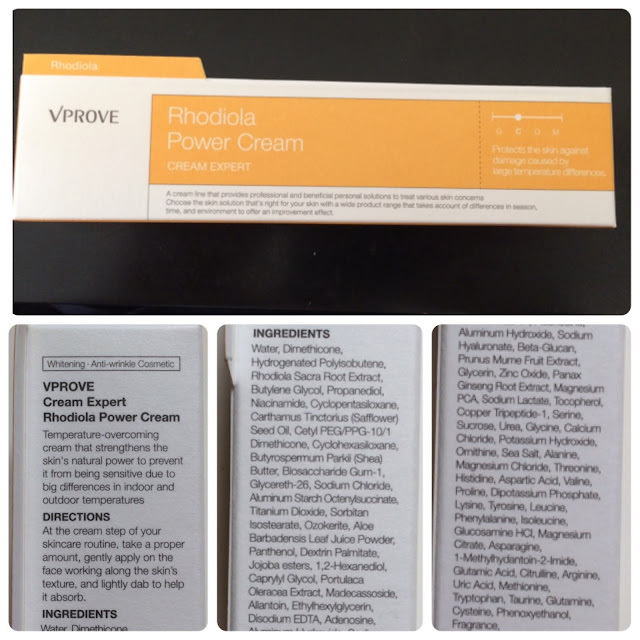 The Rhodiola Power Cream from Vprove claims to be a moisturizing protectant cream against the temperature variations your skin encounters between indoors and outdoors. By maintaining a steady temperature within the skin on your skin, your skin will become stronger and less sensitive. This cream reminds me of a sunscreen - it's got a thick texture to it but it actually spreads out quite thin. Unlike sunscreen, however, this absorbs well! (haha) A little seems to go a long way with this cream - I apply a pea sized amount to the back of my hand and it's enough to cover my face and neck. 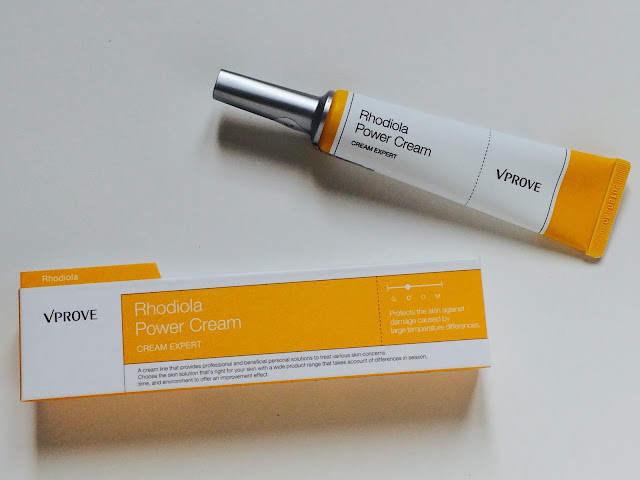 The cream comes housed in a traditional off-white thin cardboard box with yellow printing and neat black lettering. 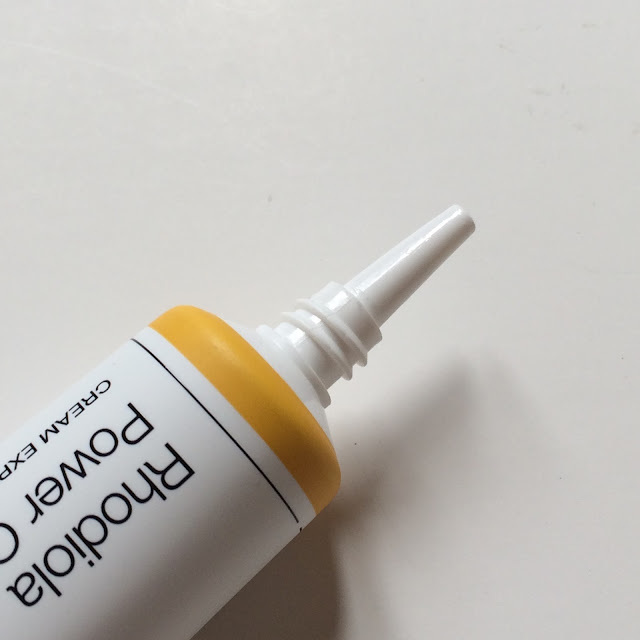 The cream container is a plastic tube with a long tip and aluminum cap. It's very professional looking and well constructed. The tube holds 35mL of product. 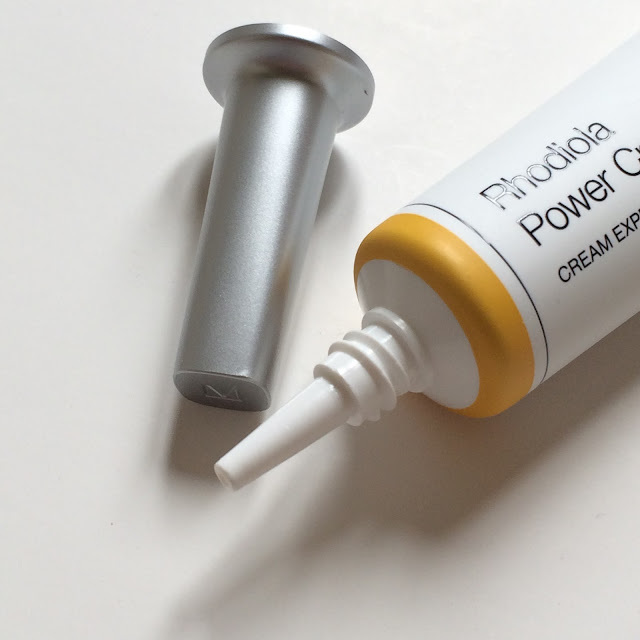 The Rhodiola Power Cream is off-white in color, and looks similar to sunscreen (most likely due to the zinc oxide and titanium dioxide which is also found in physical sunscreens). 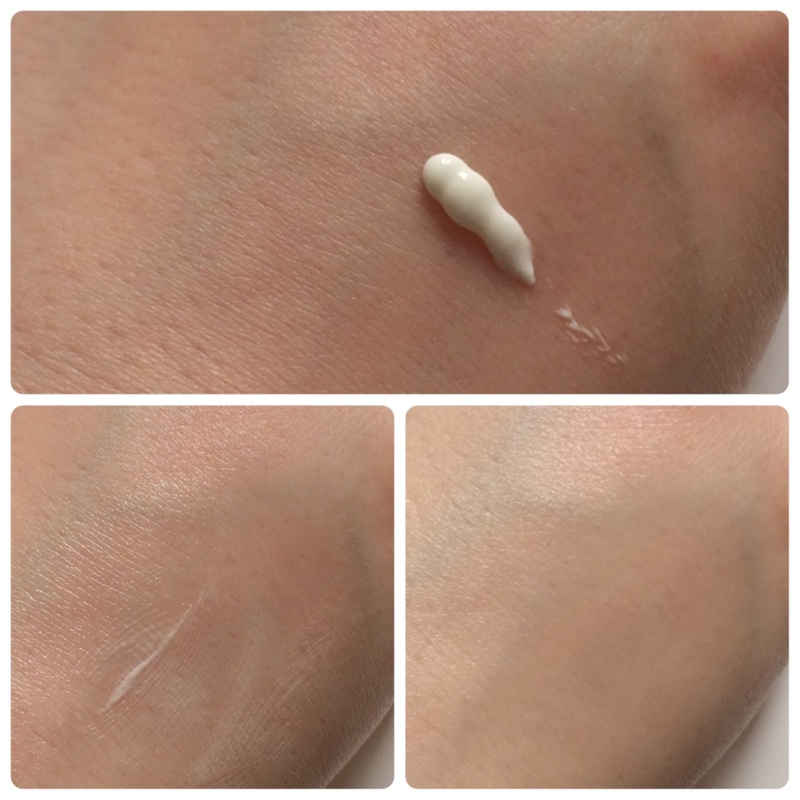 As I mentioned earlier, the cream seems a bit thick in texture when it comes out of the tube but it actually warms to a much thinner texture and spreads easily onto the skin. It absorbs quickly and completely, leaving a smooth finish behind. The cream is heavily scented. I asked my husband for help on this one, because I honestly can't get past how strong it is enough to place it, but we both agree it's similar to old lady perfume. And lots of it. 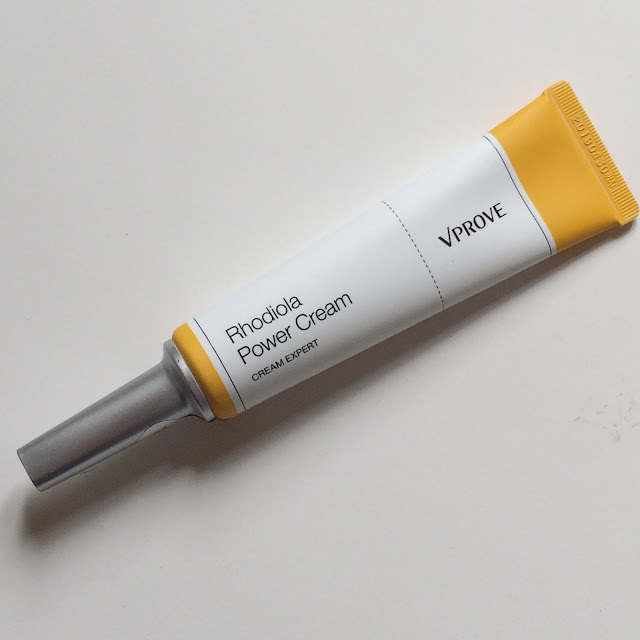 I was excited to try this cream initially, because my skin is always changing a bit day-to-day and I like having an arsenal of moisturizers that fit a whirlwind of needs. If I'm being completely honest, and by now I'd hope you all know I am, my excitement turned to disgust by the scent of this cream. The texture is wonderful, and it's ability to absorb almost instantly and leave my skin feeling incredibly smooth and supple is amazing! Unfortunately for me, the scent of this product far outweighs the positive factors of this cream, and I cannot continue to use it. No. Only if they someday remove the scent from this product.